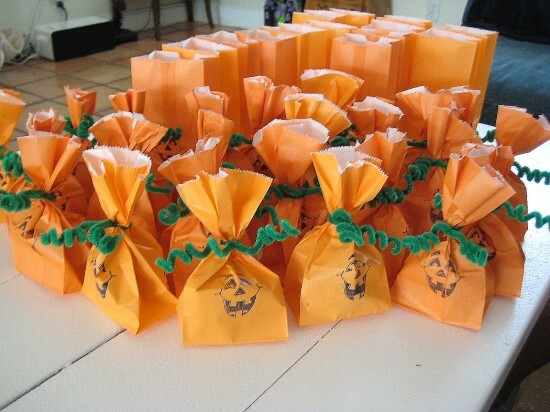 Here is a cute Jack-O-Lantern-inspired treat bag. You can fill them with a mixture of candy, toys, or even homemade sweets. I would suggest making homemade gourmet popcorn as a filler for the bags. Here is an excellent recipe for White Chocolate Candy Corn Popcorn. For a list of supplies and directions, visit Creative Party Ideas From Cheryl.